Around three and half years ago, we excavated our hillside – shaping the very steep slope into a series of terraces. 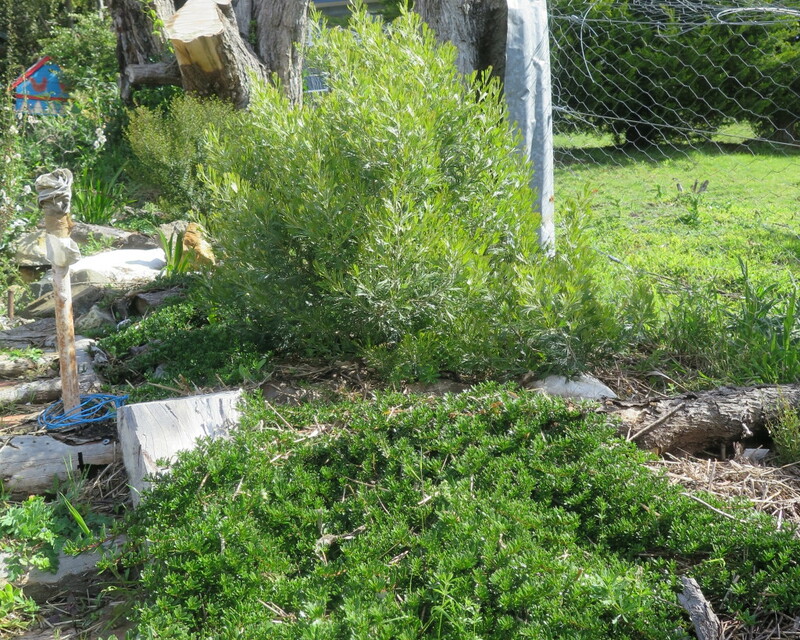 We knew we couldn’t afford to build retaining walls to stabilise each terrace, so our solution was one that many people have used before us – use plants to stabilise the earth berms. 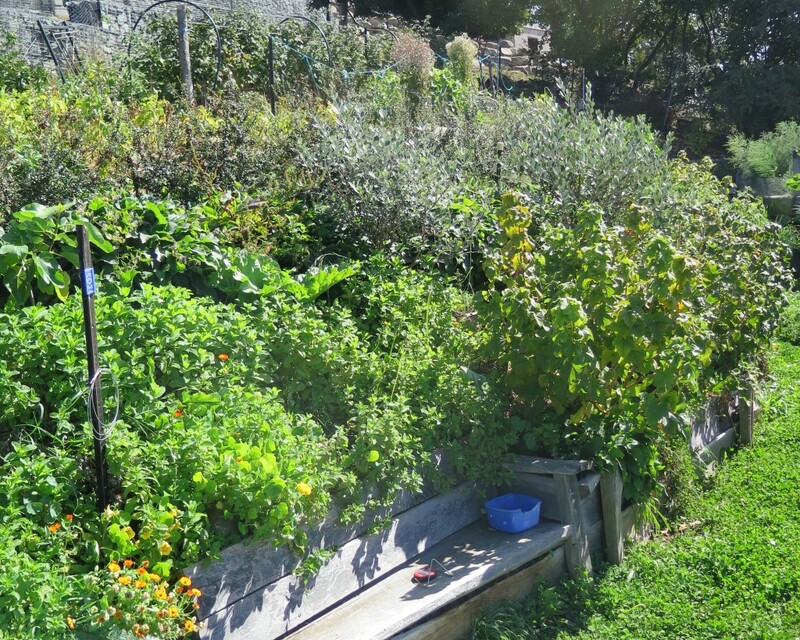 The berms are angled at around 45 degrees (the legal steepness is 60 degrees where we live), are a hell-of-a-lot cheaper and turns out more productive and beautiful than retaining walls. The earth berm below (circled in yellow) was our largest, most problematic slope to stabilise – our solution? 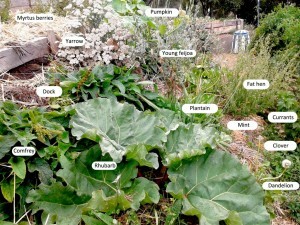 Plant it out as a small edible forest garden (EFG). You can see the full process we went through to establish this patch here. Directly after the earth works, we quickly covered the steep earth berms with jute mesh to help stablise the soil and hold the clover seeds we broadcast (in hindsight, jute mat would have been better). 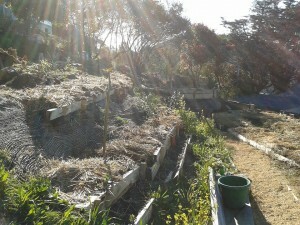 We then put in some basic timber shelves, back filled them with good soil and planted them out densely. 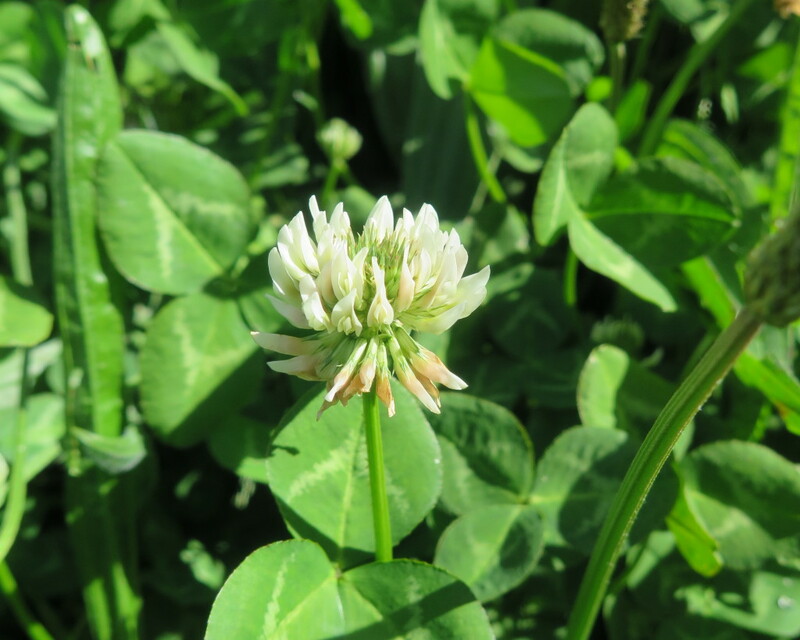 While we still think of this little patch as our young EFG – it’s starting to produce food, provide habitat and food to small insects and critters, plus it’s beautiful. We now sit in our seat (below), have a beer or a cuppa while fresh mint and nasturtiums drape over our shoulders. 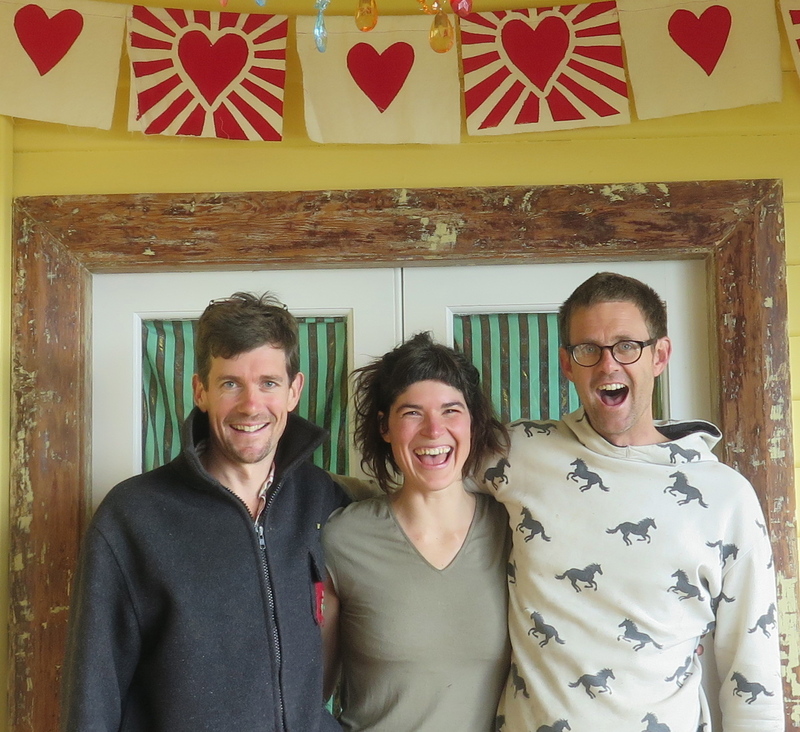 It’s transformed and we love it. 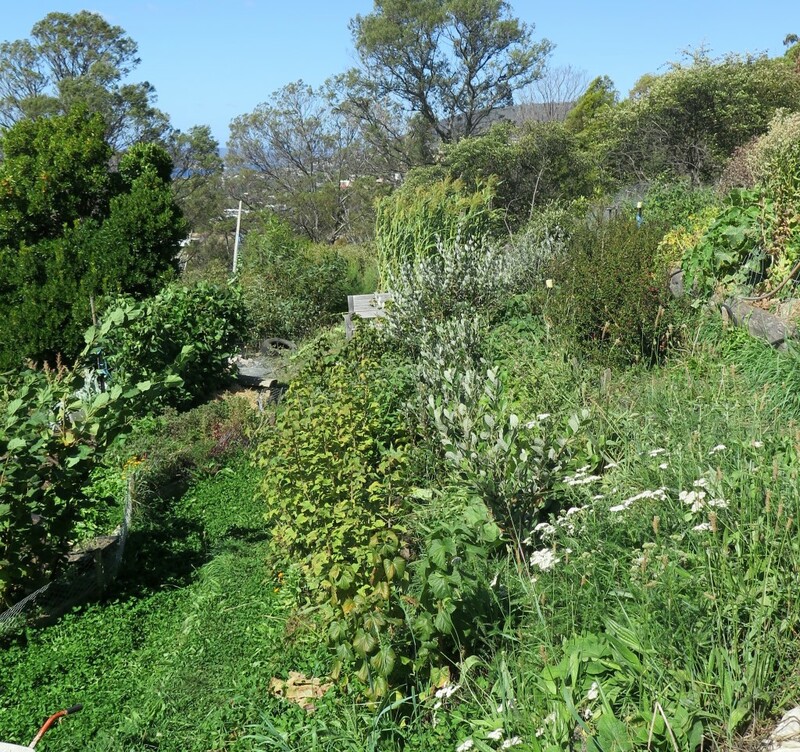 Contrary to most design approaches for EFGs, we’ve arranged our key plants in rows in order to help stabilise the steep bank and to create easier access in a relatively small space. 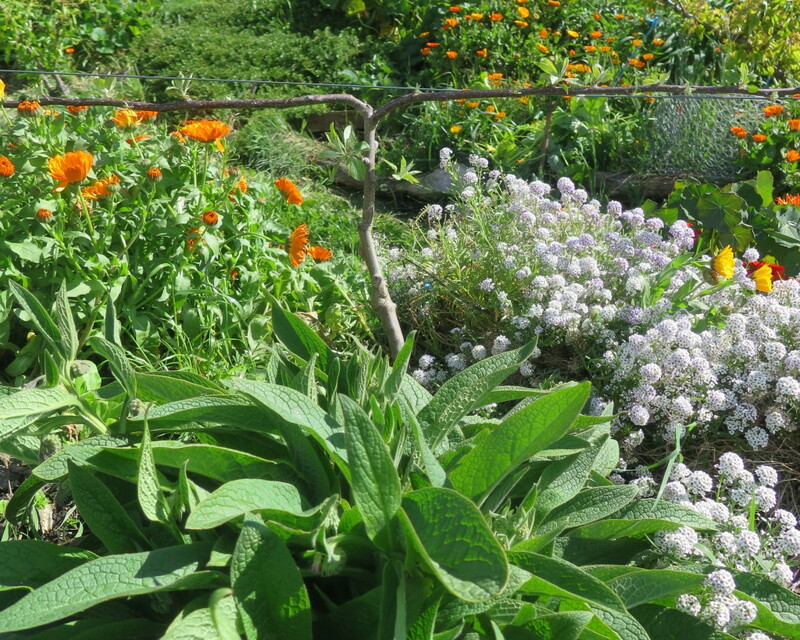 Below you can see these lines reasonably well with currants at the bottom left, feijoa trees in the middle, a strip of comfrey and then myrtus ugni berries at the very top. 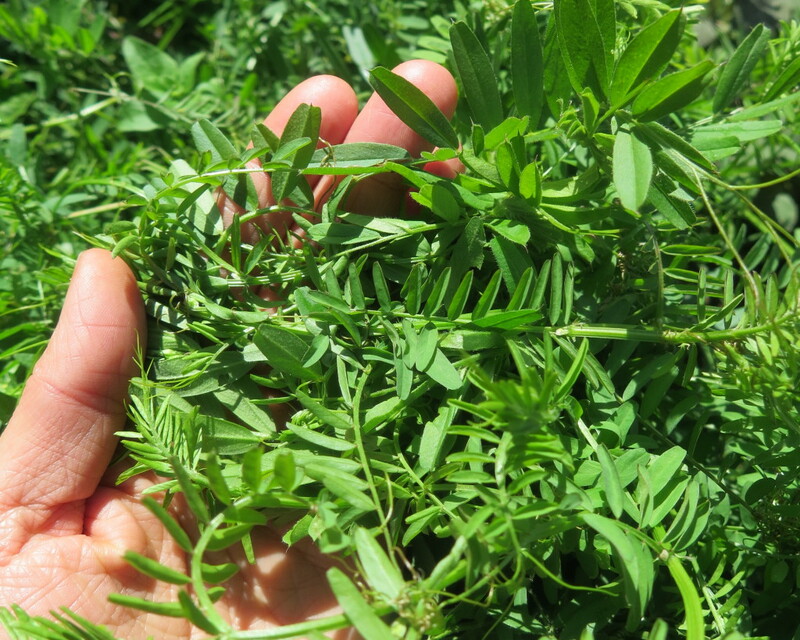 There’s also rambling clover, mint, nasturtiums and many herbs in between all this as well. As an ever-evolving space it’s always changing from season to season. We’ve made some changes here and there, like replacing the tamarillo tree with a fig, but only because we like figs more and due to limited space had to make a choice. 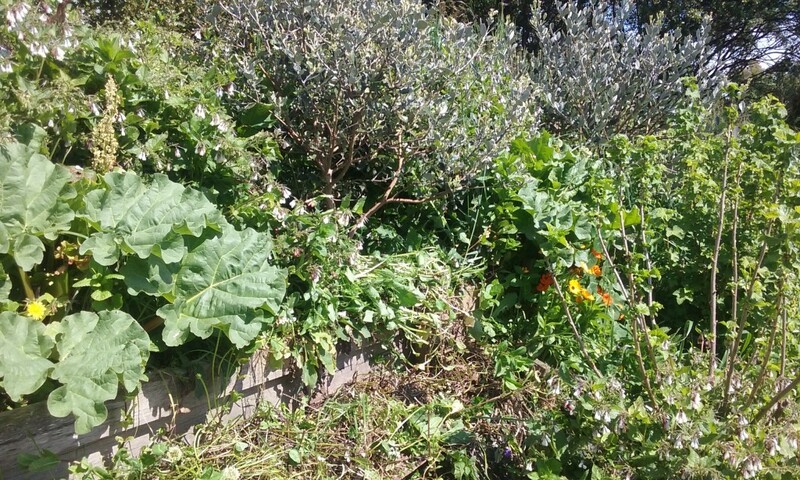 While I was out there this morning cutting and slashing the comfrey, using it as mulch around the fig and feijoa trees, I had a happy moment – realising that we never have to bring in mulch for this patch any more. It produces *so much* bio mass, plenty to cycle back into its own system, plus feed the chooks. 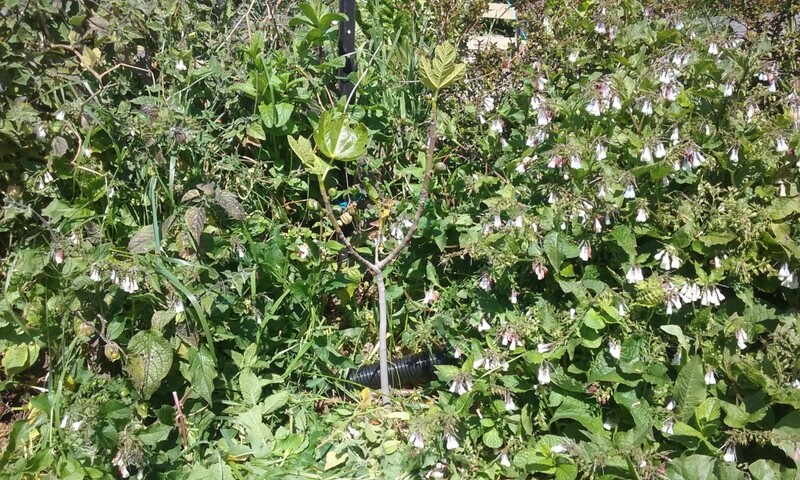 The baby fig tree *flanked* by a serious wall of flowering comfrey and a cape gooseberry. 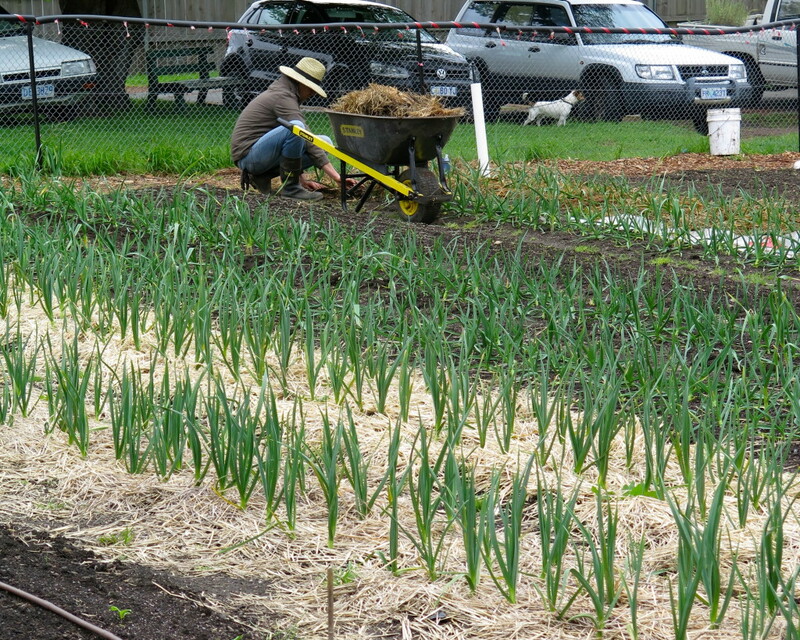 Being a perennial system, the maintenance is *significantly* lower than our annual garden beds. 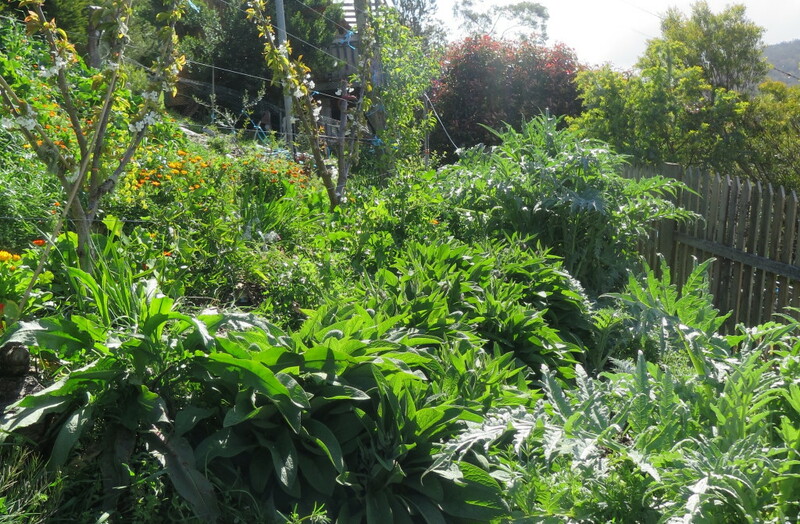 While we’re currently busy weeding our spring veggie beds and keeping them under control – our EFG only needs only occasional attention. Our main jobs are pruning and harvesting to keep this tight space productive. 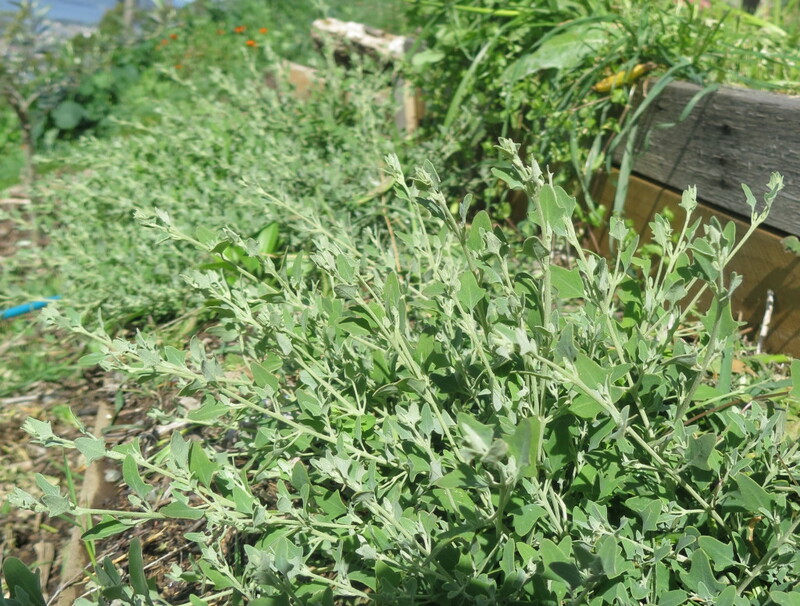 For example, two or three times a year I’ll go through and “clear-fell” patches mint to dry for tea, plus give the neighbouring plants a break from being swamped by it. 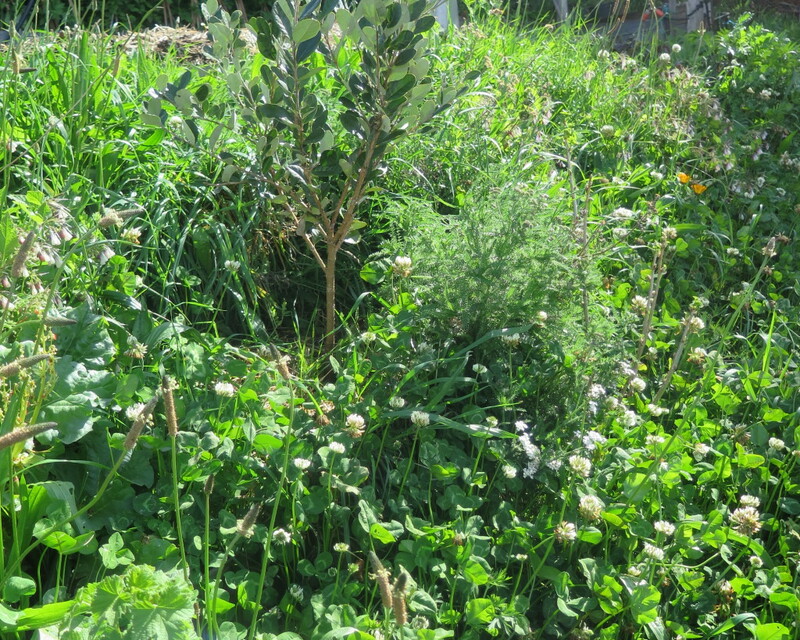 Below you can see a freshly harvest patch which will bounce back with fresh mint in no time. 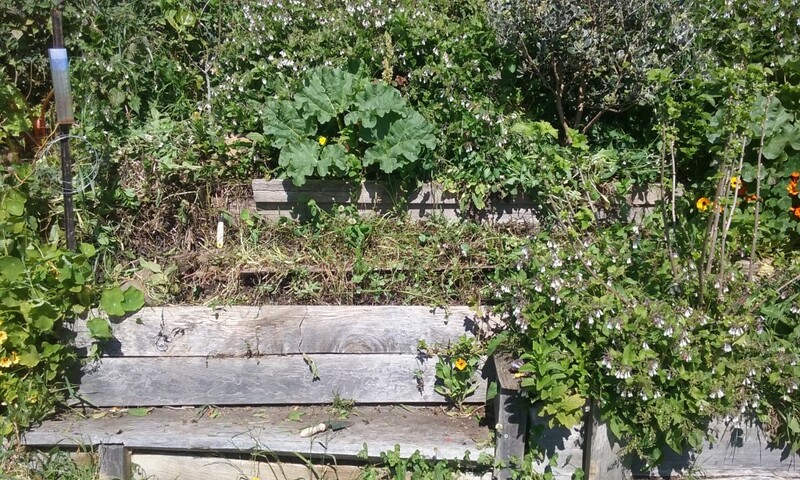 We’re approaching a very big summer/autumn of change for our property – expanding our gardens into the neighbouring block we’ve just purchased (with the bank). 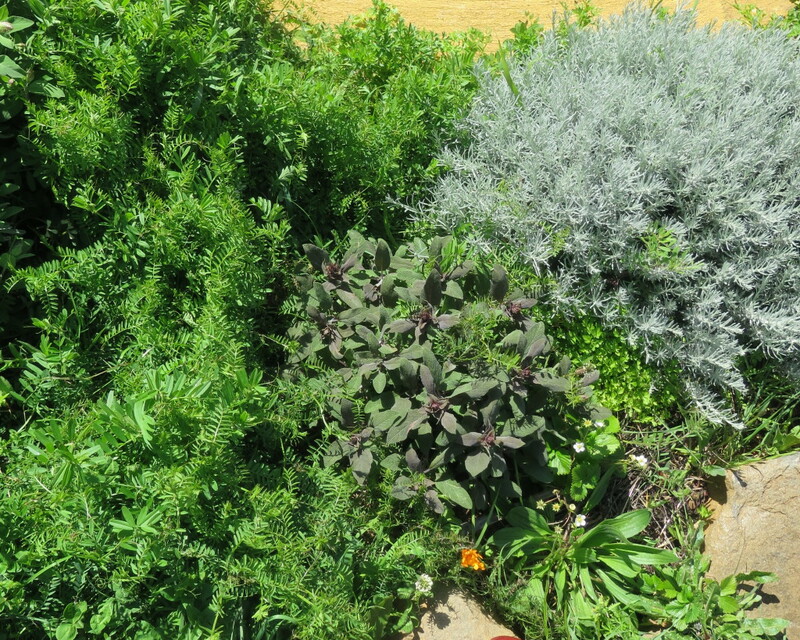 While there’s still a whole stack of details to finalise, we’re 100% clear on one thing – and that’s having more perennial, instead of annual gardens. The high productivity, improved soil health and lower inputs required make it a no-brainer! 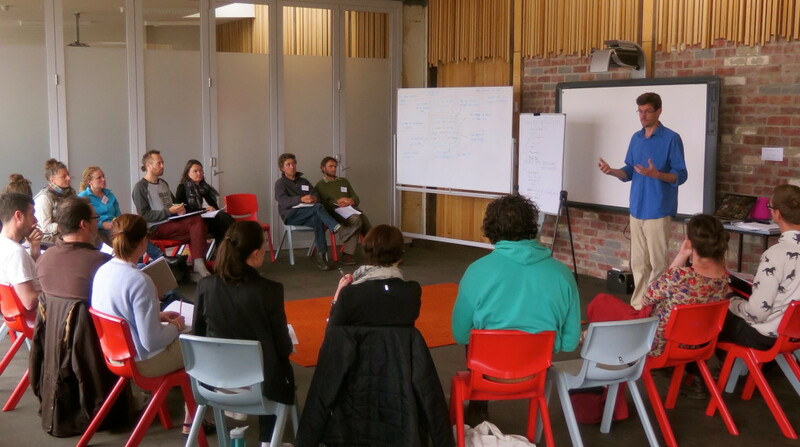 We’ve just wrapped up hosting our first Holistic Decision Making workshop with Dan Palmer from Very Edible Gardens – it was a good one. 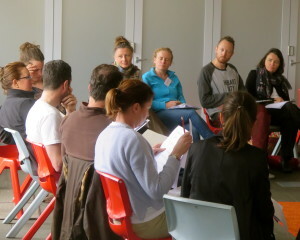 Developed by Alan Savory holistic management is “a framework for making deeply sound decisions. Deeply sound in the tangible sense of honouring the whole situation, minimising unintended negative consequences, and taking you where you want to go”. Decisions are the steering wheel for our lives, whether you go left, right, straight ahead or turn abruptly around, their impact is profound. Best to get them right. That’s where holistic decision making steps in to make sure your decisions are in line with your inner truth, your calling, your dreams – whatever you want to call “it”. It’s actually very simple. Form a goal for yourself that describes everything that’s important to your life. Test every one of your actions towards that set of words and assume you could be wrong. Monitor (whether it’s financial, ecological or social) for early evidence that it could be wrong and if it’s wrong, make another decision towards how you want things to be – not to solve the problem, but to get towards how you want life to be. Life is busy – we know this feeling well. Our brains and bodies are often frazzled moving sometimes erratically with the speed of our modern world, compared with the steady, level pace of ‘earth time’. Holistic decision making is a tangible tool that can be applied to you, your family, your business, workplace – anything – to help reign it in, keep it focused and on track to reaching the goal/s you/it needs to. There’s nothing wishy-washy, magical or fluffy about – it’s just a solid, well thought through method that will help you live the life you need to. That’s all. You can see how we’ve started to apply it to our own little family here. 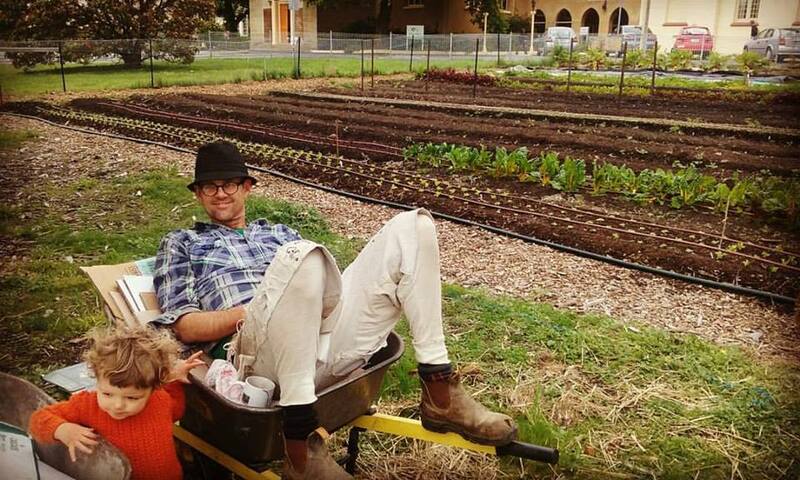 Hobart City Farm’s 2nd Growing Season Is Go! 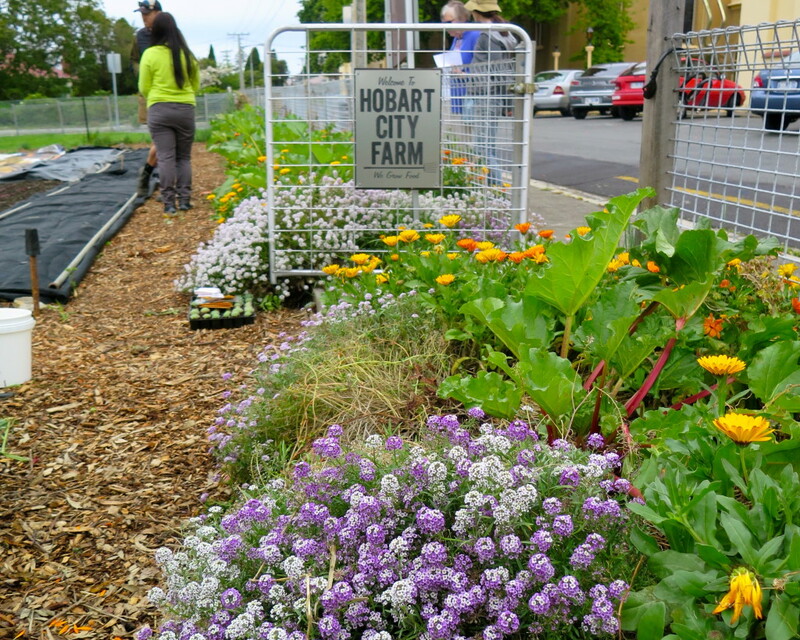 The Hobart City Farm is coming into its second growing season – and jeeze, it’s looking fine. Over winter, this little farm has had a rest, allowing some of the team to continue building infrastructure, tweak and refine systems – all to make sure this coming growing season *cranks*. And crank it will. Their online shop is due to open in mid October, if you want to be one of the very lucky ducks to eat this organically grown produce then you can register your interest HERE. It operates on a first in basis, so don’t be slow! 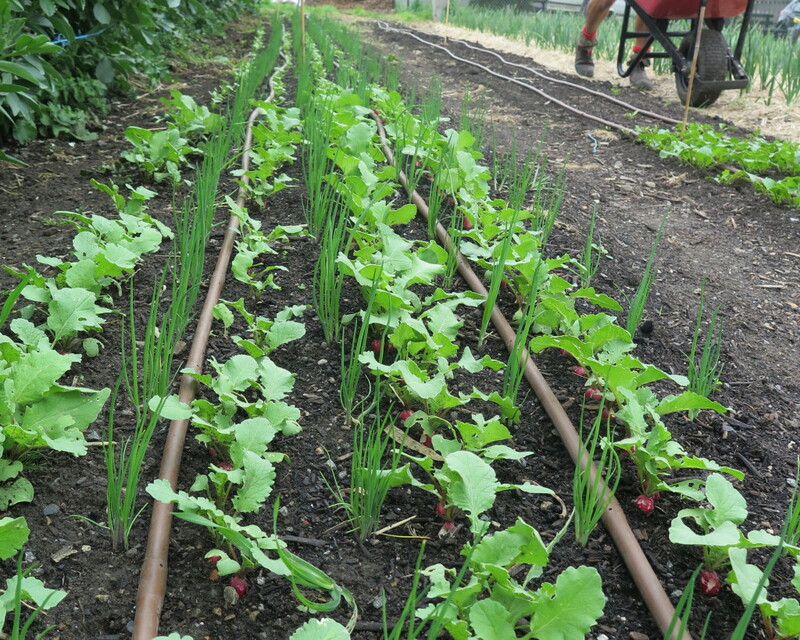 Spring onions and radishes – integrating a range of crops into the same bed strategically is an efficient (and beautiful) use of space and time, ensuring you get the highest yield possible out of the available area. 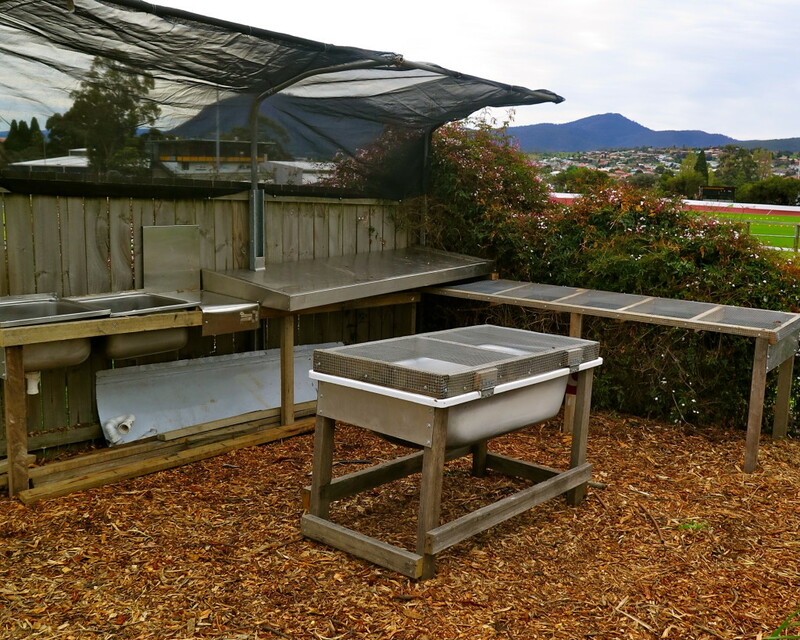 One of the exciting new additions to the farm is the very fantastic washing station. This is where all produce is cleaned efficiently and thoroughly. 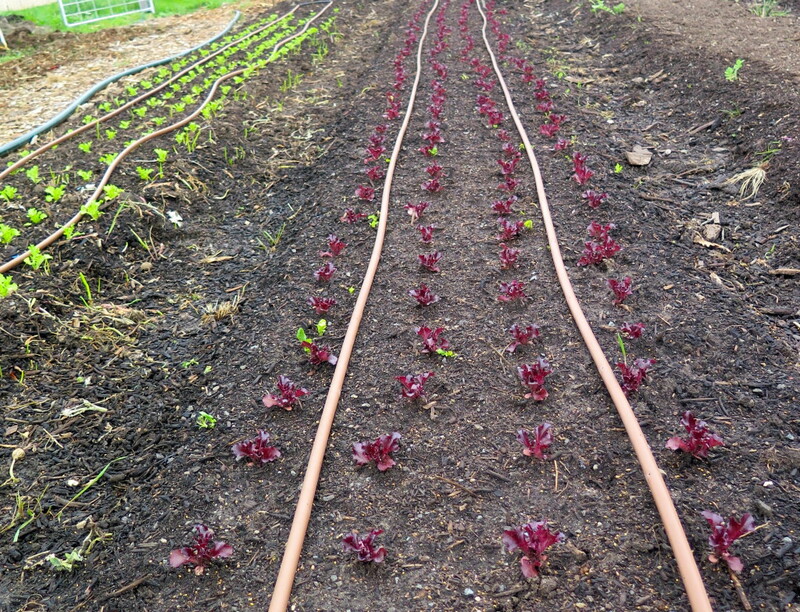 Made from mostly recycled materials, this is a must have for the market gardener – having the right set up can literally save hours of time. 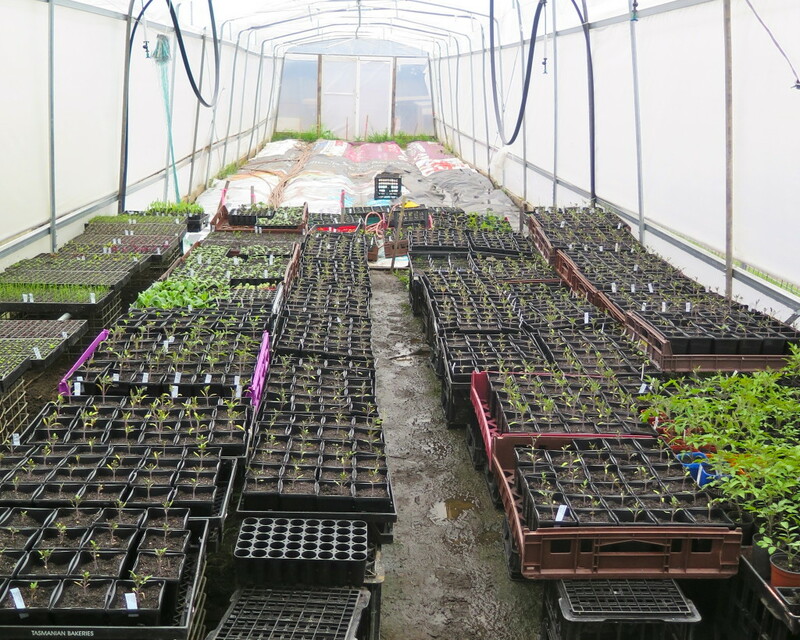 The hot house is a space for propagation (you can see tomatoes above) and for in-ground grow beds. Soon those tarps you can see in the background will come off to make way for around 150 tomato plants to grow high! You can get your hands on some of these heirloom tomato seedlings at the upcoming Community Garage Sale, this October 22nd at the Hobart Tip Shop from 10am – 2pm. 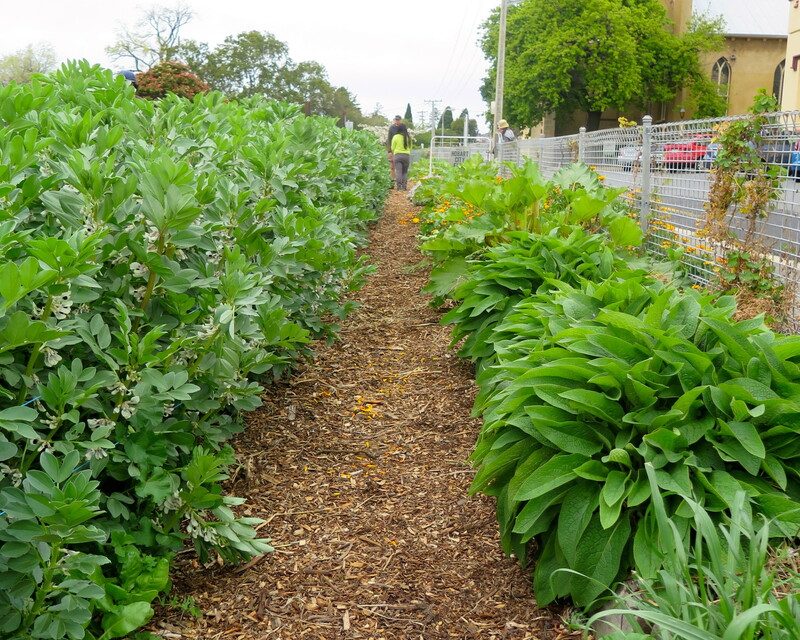 While a market garden is based on annual crops, this space has also integrated a loooong perennial bed around one edge of the Farm. 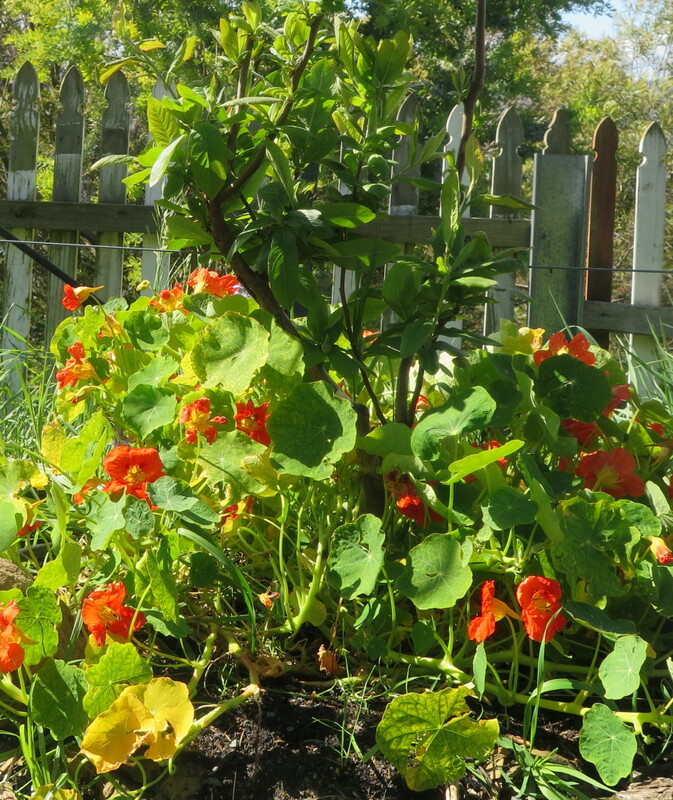 This allows the team to grow a large range of beneficial and edible flowers to attract pollinators to the garden as well as grow additional crops like herbs, comfrey, mashua, rhubarb and more. 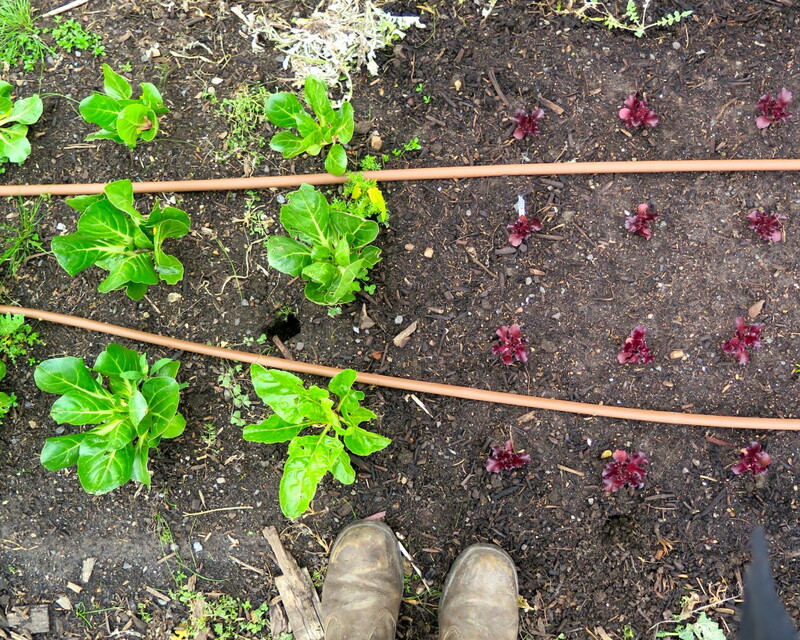 I believe every market garden should include something like this as the benefits are many. 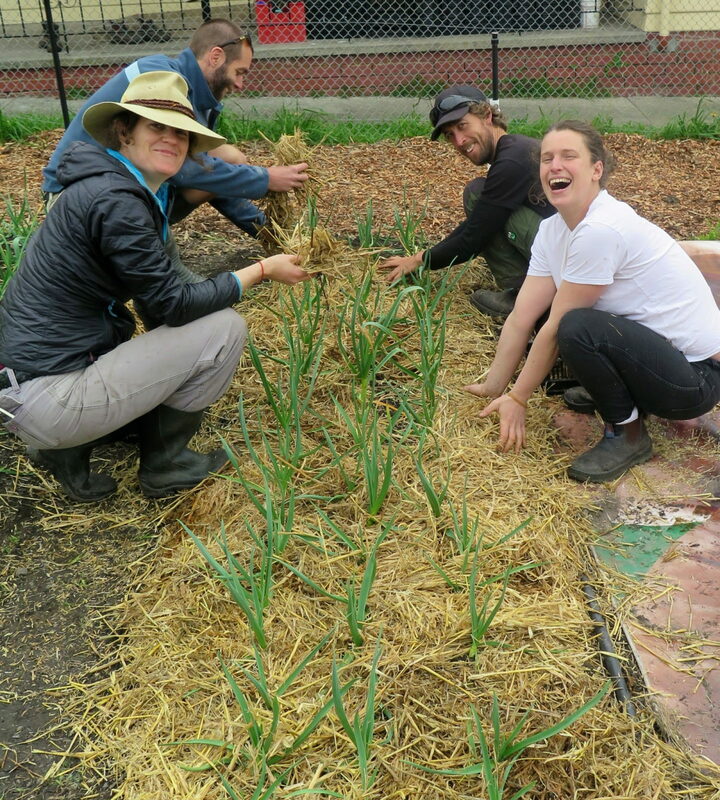 Every now and then the Farm has a working bee where people come and get their hands dirty, hearts happy and connect over food production. Something we all need more of. It’s also where you get to lounge in wheelbarrows, drink tea and eat cake. All part of a successful working bee experience! 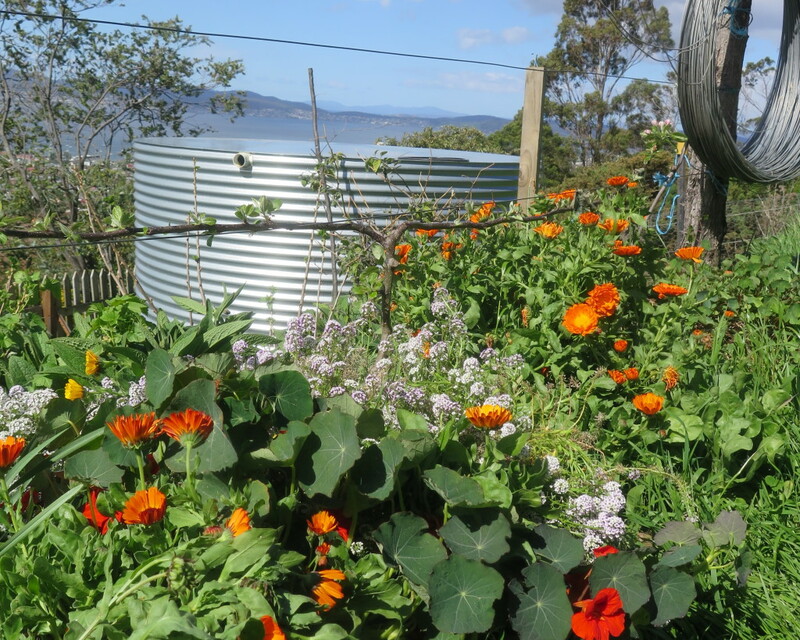 If you’re in Hobart and would like to source your veggies from this super local (and rather awesome) farm each week, register your interest HERE.